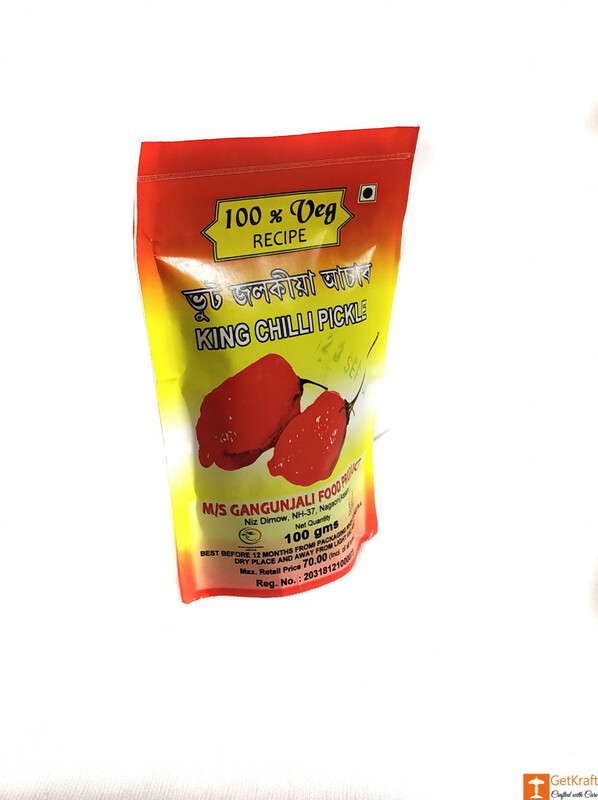 This pickle has been manufactured from authentic King chillies or Bhoot Jolokia from Assam. 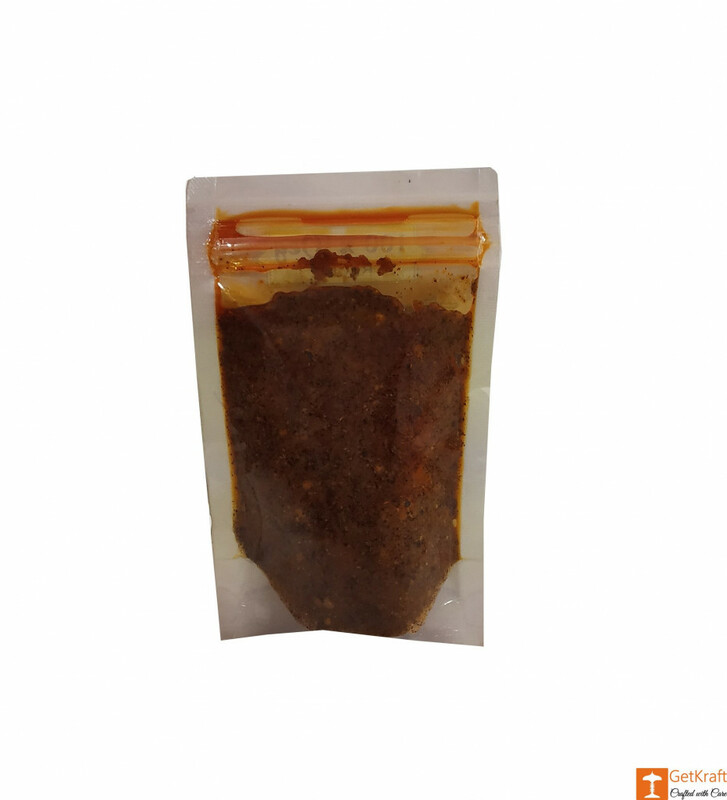 They are easy to use, convenient to store and delicious in taste. 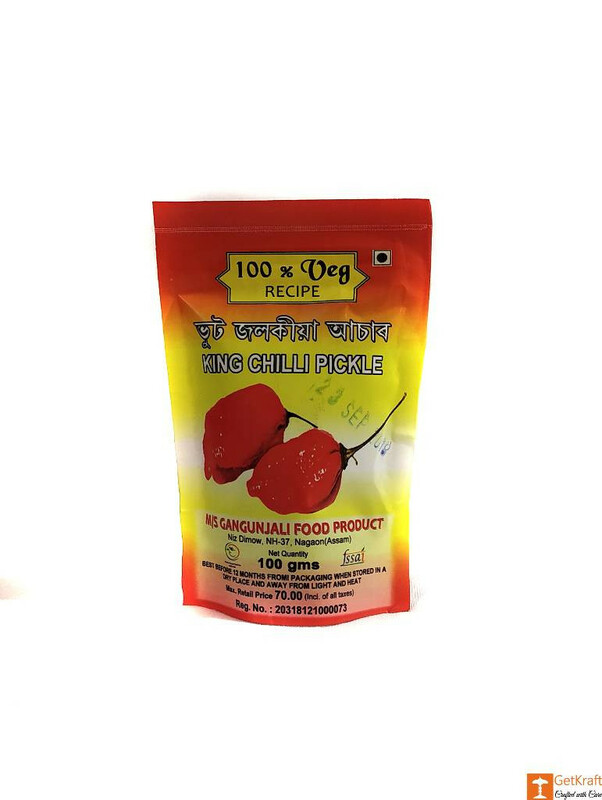 Have it with rice, roti or paranthas for that extra tinge of hotness in your taste. Instructions: Retain the layer of oil on top so that the pickle stays fresh. Use a spoon only and close the pouch once used.